Enhance the western mood of your bathroom with the Horseshoe & Star Bath Hardware, crafted with horseshoes with lone star accents. The Horseshoe & Star Towel Bar & Shelf adds western style to your bathroom with horseshoes with lone star accents. 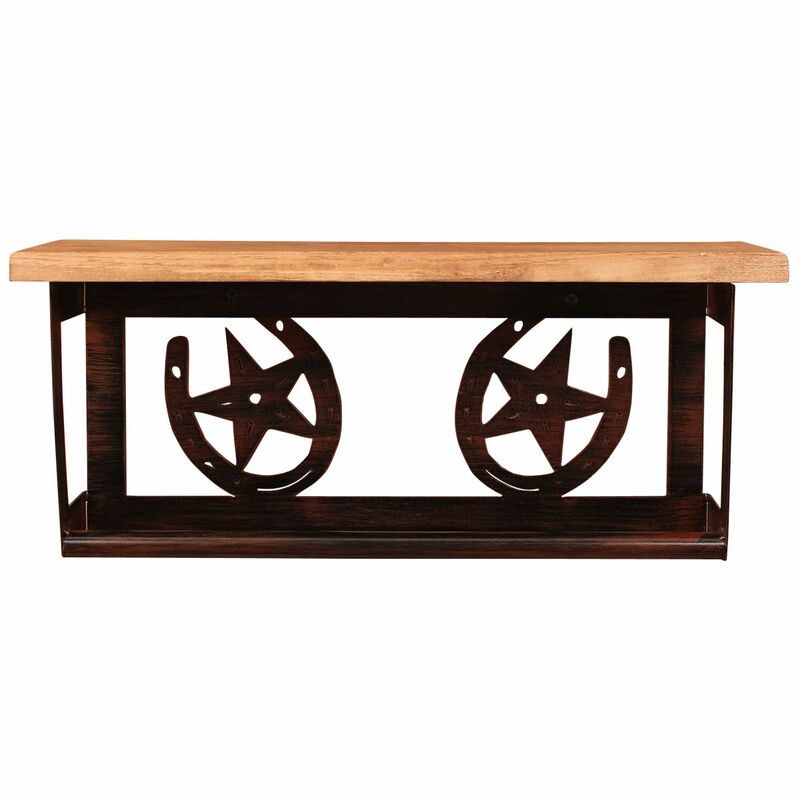 Bring western style to your bathroom with the Horseshoe & Star Coat Rack & Shelf. This wall shelf with hooks has horseshoes with lone star accents. Bring western style to your bathroom with the Horseshoe & Star Toilet Paper Stand/Magazine Rack, featuring horseshoes with lone star accents.